After graduating from Hofstra University located in Hempstead, New York, Samuel Strauch studied at Erasumus University in Rotterdam, Holland, and Harvard University in Cambridge, Massachusetts. As a former banker with extensive financial experience, Samuel Strauch ultimately decided to become a real estate agent at his family’s business located in South Florida. After his experience as a licensed real estate agent for 14 years, Mr. Strauch established Metrik Real Estate, a highly successful real estate agency located in South Beach, Florida. Mr. Strauch is licensed as a real estate broker in both Latin America and South Florida. His reputation for selling homes and condominiums in a timely manner earned him a solid reputation. As the principal of Metrik Real Estate, Samuel Strauch gained a high ranking as a one of the leading agents in the Miami Beach area. Mr. Strauch frequently represents buyers who are interested in purchasing various types of properties. Metrik Real Estate is not a typical agency. His company has witnessed a phenomenal growth pattern due to its innovative platform consisting of equity sourcing, acquisition of properties, development and management. With his consistent ability to think outside the box, Mr. Strauch developed an agency covering various aspects of the real estate industry. In addition to his enthusiasm for real estate, Mr. Strauch has a passion for photography and art. He even has his personal blog dedicated to his travels in Tibet. His blog features numerous photographs focused on Tibetan Buddhist monks. 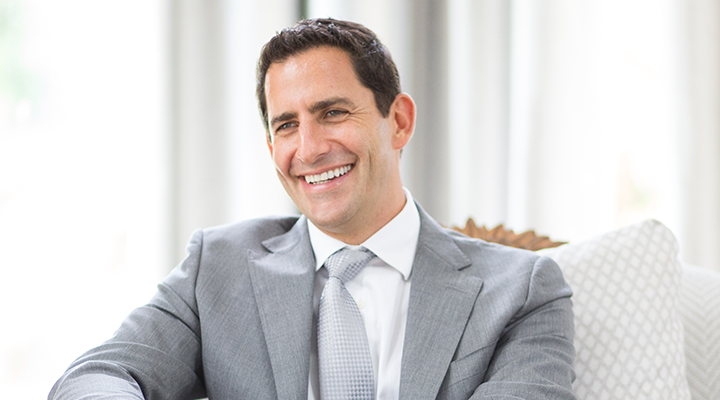 Additionally, Samuel Strauch is an avid investor in various internet enterprises and a variety of restaurants. The following interview illustrates the many talents and accomplishments attributed to Samuel Strauch. What was your initial plan when you founded Metrik Holdings? The right timing played a major factor. When I first arrived in Miami approximately 15 years ago, I witnessed a fantastic real estate opportunity within the rapidly growing population. As a former resort area, Miami was in the process of becoming a city within its own rights. Consequently, I decided to start my own real estate agency. My extensive travels throughout Latin America had put me in contact with many influential individuals. As a result, I realized that I already had a multitude of potential clients and investors because Miami is known as the gateway to Latin America. What are your strategies for Metrik? My company focuses on keeping up with technological advances that play major roles in the way people live their lives. Whether at work or during their travels, my team analyzes various industries and businesses with the purpose of creating a wide array of investment opportunities. For instance, many workers today work in offices designed with innovative principles. Some employees share the same work areas. People who travel in contemporary society are more interested in experiencing different cultures rather than buying mementos or trinkets. Our primary focus is on creating unique projects that connect with the minds of younger people living in a closely knit world focused on intricate forms of communication. How do you ensure that younger employees are fulfilled at work? When I personally interview a prospective employee for my team, I try to discover the person’s goals as a separate entity from the individual’s desire to earn a decent living. I want to create an atmosphere that resonates with the person’s spiritual, emotional and intellectual views. Once I understand a potential employee’s personal passions, it is easy to determine whether the person has the ability to work in a specific job role. The main focus is that I want to hire employees who pride themselves in ethics and professionalism. An employee needs to have faith in the basic purpose of my business. Once I hire a person to work as a team member, it is up to the employee to progress at his or her own pace. My goal is to infuse my team members with the idea that jobs need to reflect their personal habits and passions. For example, I try to ensure that each employee has the chance to develop and realize any potential talents. We strive to create teams that are dedicated to raising money for charitable organizations. We go on trips together with the aim of learning about each other and coming to the realization that life is short. Since we do not live forever, it is important to understand that health, happiness and personal growth are extremely important. Otherwise, a person is simply wading through life wasting valuable time. Some of the former employees have taken my philosophy to heart and gone on to establish their own companies. I have even collaborated with previous team members to create new business ventures. Does it surprise you that most employees do not understand the importance of working in careers that complement their daily lives? No, I am not at all surprised by fact that many employees do not understand this basic principle. However, I am witnessing a different type of thought process in today’s workforce. At one time, people were taught that they were meant to attend college, work for several decades, retire and enjoy their golden years. My person discovery was that people did not need to follow these precise directions for how to live their lives. Thinking involves virtually unlimited thoughts encompassing all aspects of living. Younger people view things in different ways than older individuals. In addition to the fact that young people today pay closer attention to the important aspects of life, people representing a more traditional generation are more open to dialogues about how to achieve happiness. What are your current goals for Metrik? My team is currently involved in studying future trends because change is one of the most important aspects of creating a thriving company. Everything in modern society continues to change at a rapid pace. Hence, we want to apply new ways of viewing life connected with the concept of owning property. We strive to get involved in a number of business opportunities focused on hospitality and innovative real estate properties. Our goal is to pay close attention to the constant advances in technology and apply these changes to the ways in which our team conducts business. Are there basic principles of Metrik Holdings that people need to understand? The main thing to understand about Metrik is that it is more than a company. Metrik is a socially responsible business that is driven by a basic philosophy. My team members must understand that social responsibility means giving back to the local community via offering new educational options, raising money for supporting various charitable organizations and promoting activities that help our world become a more harmonious place. Another one of my passions is to instill others with the concept that happiness is one of the most important things in life. Modern psychological research consistently shows that life improves when people are motivated by the desire to live happy and productive lives. Whether at home or in the workplace, happiness makes a huge impact on the success of a business and the personal growth of employees. Striving to gain a deeper understanding of what makes every employee tick frequently yields harmonious results.